The Tendon 8.5mm Ambition is a lightweight low impact force half rope. Its primary use is for trad climbing or for winter climbing with the Complete Shield (For better water resistance). At 8.5mm diameter the Ambition is quite typical of most commonly used half ropes; with its main competitors being the Mammut Genesis (8.5mm) and the Beal Cobra II (8.6mm). This has become a popular size because of the compromise between good weight savings and maintaining durability. The 8.5mm Ambition Half Rope offers a low impact force of 5.5kN and a fairly respectable 10-11 UIAA number of falls. Whilst this isn’t as good as either the Genesis (15-16 1 strand 55kg) or Cobra II (18-20) UIAA number of falls it does put it above something like the Sterling Ropes Evolution Duetto 8.4mm (6) or the Marathon Half 8.8mm (9). Likewise for impact force, the 8.5mm Ambition Half Rope is better at 5.5kN than either the Evolution Duetto (6.5kN) or the Marathon Half (6.1kN). In actual use the 8.5mm Ambition is excellent, the Protect Shield treatment and slightly shiny sheath seem to shed light rain (I would still suggest going for the Complete Shield for winter climbing). However, in comparison to some half ropes its handling qualities are not as good; primarily as a result of it being slightly stiffer and thus less supple for tying knots etc. Relatively good UIAA number of falls. Light weight for 8.5mm diameter (46g per metre); lighter than both the Genesis 8.5mm (48g per metre) or the Cobra II 8.6mm (48g per metre). Whilst only anecdotal evidence it has been durable, with the only major signs of wear coming from significant usage. 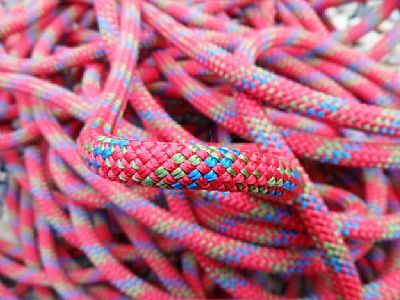 There are other half ropes with better UIAA number of falls and lower impact force. Not as supple as some other half ropes. The Tendon 8.5mm Ambition is a good well balanced half rope; offering a good compromise of durability and performance. However, there are better handling and better performing half ropes available for around the same price.